The Amazing Race: At the Amazing Race activity there were many obstacles for our fellow Evers such as slingshot, archery, running and ring throwing. Children won prizes when they won the Amazing Race. Praise and worship: There is nothing better than thanking the Lord for a lovely weekend out with your friends and family and all the privileges you have. On Sunday morning the family’s went to the Lapa for a half an hour “church” service. 3 km Fun Run: On Saturday morning the family’s went for a morning run in the beautiful sunrise. The child winner was Ruben Odendaal and the adult winner was Shane Minnie. 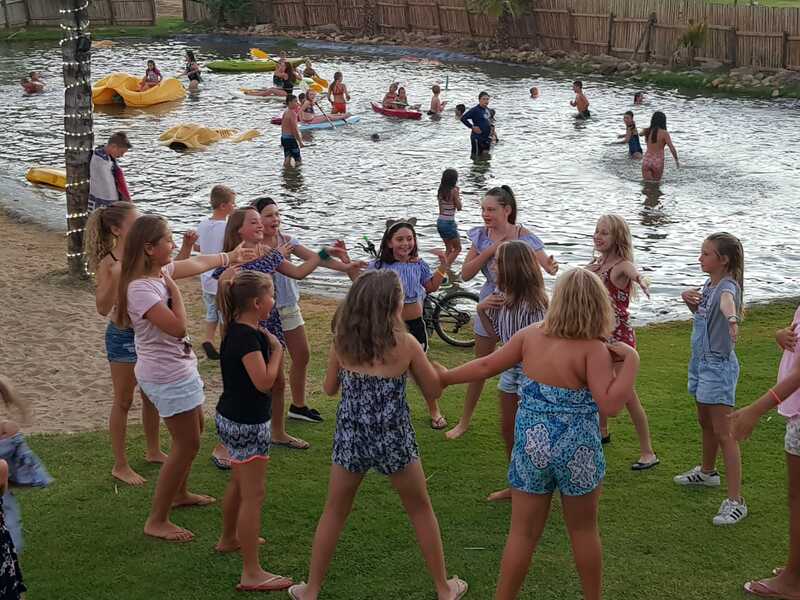 It was great fun at the Ever Camp and the children will definitely beg their parents to go next year and maybe even as a family holiday at the same location. We want to thank Doringlaagte and it’s staff again for having our school at their campsite. They are truly the ones who made us have a blast.